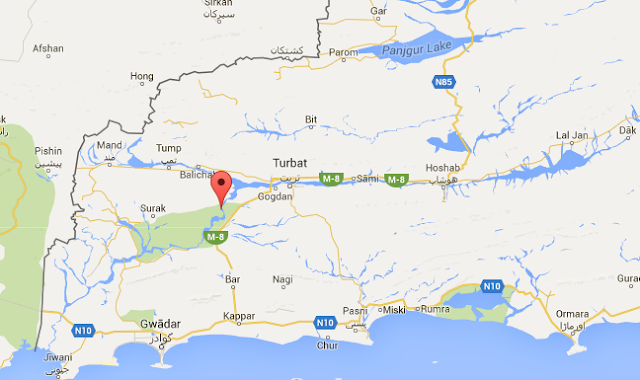 Dasht River is located in Makran region and Gwadar District, in the southwestern section of Balochistan Province, in southwestern Pakistan. The Kech River, a seasonal intermittent river, is a tributary of the Dasht River which flows southeast through the Central Makran Range in the Gwadar District of Balochistan into the Gulf of Oman in the Arabian Sea. Mirani Dam was completed on Dasht River in 2006 to store over 300,000 acre-feet of fresh water to meet the needs of southern Balochistan. Mirani Dam is the largest dam in the world in terms of volume for flood protection with a floodstock of 588,690 cubic hectometer, according to International Commission On Large Dams (ICOLD). This water reservoir is essential for the development of a deep sea port and a major new metropolis in Gawadar as part of China-Pakistan Economic Corridor. In addition to supplying fresh water to Turbat, Jiwani and Gwadar cities, it has sufficient capacity to irrigate over 33,000 acres of farm land. The United Arab Emirates uses 80% of its fresh water for agriculture in its arid desert and the rest of the 20% for urban needs, according to The National. Here's the key question: Does it make more sense for the UAE to import food rather than grow its own food by importing fresh water? The second question is: Can the UAE focus on desalination for the water it needs for urban use? Gwadar port was first conceived in late 1950s when Pakistan purchased the region from the Sultanate of Oman. China-Pakistan Economic Corridor (CPEC) has been talked about since early 1990s. But nothing was done to develop until President Pervez Musharraf allocated time, money and focus to build first several berths at Gwadar deep sea port, Coastal Highway to connect it with Karachi and Mirani Dam in Balochistan to supply water on his watch. Now water-stressed Pakistan needs to focus on building greater water storage capacity if it's really serious about developing Gwadar, Southwestern Balochistan and the Makran coast. It must not agree to export the Dasht River water to anyone, including the UAE. Instead, it should offer to export food as necessary to meet UAE's needs. Isn't Pak already a water deprived country ? SQA: "Need to stay as far away from these Arabs as possible......them are some bad characters"
I think it's unfair and wrong to paint an entire group with a broad brush. Water availability is a serious issue that should be addressed by Pakistani leaders to serve Pakistan's best interest. Pakistan is a water stressed country. It needs all the water it has and more! These Gulf types seem to be exploiters. In fact may be exploiter should be their middle name! This is by far the craziest idea I have ever come upon. Obviously people will try to do what's in their own interest, UAE included. The only issue is whether Pakistani officials will do what's in the interest of Pakistan or their own pockets. I would not put it above Pakistani officials to sell badly needed Pakistani assets to line their own pockets. I strongly suspect shady dealings against the interests of Pakistan and favoring Chinese firms in the Pak-China Corridor deal, and associated energy and mineral development projects. It would be interesting to know what's up with that. Riaz Bhai, I would appreciate it if you can shed some light on that. Balochistan's Mirani Dam built during Musharraf years is the largest dam in the world in terms of volume for flood protection with a floodstock of 588,690 cubic hectometer. Like Rizwanbhai, I am not for selling our important resources. CPEC will lead the country into more debt!!! The debt versus benefit ratio is very much tilted. There can be a win win solution here. Build a pipeline which will carry both oil and water. During the monsoon months (June-Sep) the pipeline can carry water to UAE. In the rest of the year, the pipeline can carry oil and gas from Dubai to Pakistan. The government has released three point three eight billion rupees to complete various water projects in Public Sector Development Programme during the 1st quarter of fiscal year 2016-17. According to the Planning Commission data, an amount of rupees one billion has been released for Kachhi Canal Project (Phase-I), rupees 600 million for Naji Gaj Dam Dadu. A sum of rupees 110 million has been released for Makhi Farash Link Canal Project, rupees 60 million for Kurram Tangi Dam and rupees 10 million Gomal Zam Dam.. Similarly, rupees 200 million for construction of 100 Delay Action Dams in Balochistan and an amount of rupees 200 million was released for raising of Mangla Dam Project, and rupees 167.274 million for Re-construction of Shahi Kour Dam in Gwadar. Mirani Dam is a medium-size multi-purpose concrete-faced rock-filled dam located on the Dasht River south of the Central Makran Range in Kech District in Balochistan province of Pakistan. Its 302,000 acre feet (373,000,000 m3). reservoir is fed by the Kech River and the Nihing River. 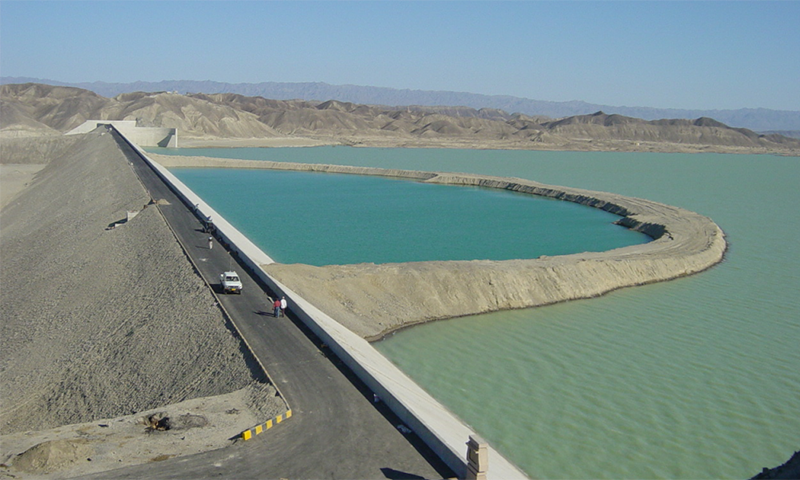 Mirani Dam was completed in July 2006 and it impounded the Dasht River in August 2006. It successfully withstood an extreme flood event in June 2007. The dam is used for irrigation of 33,200 acres in Kech Valley and for the supply of clean drinking water to Turbat and Gwadar. The sought-after birds were released by the UAE Embassy in Islamabad under the supervision of the Abu Dhabi-based International Fund for Houbara Conservation (IFHC), one of the world’s leading conservation programmes, in attendance of representatives from the Punjab Forestry, Wildlife and Fisheries Department. Commenting on the successful release, UAE Ambassador to Pakistan Hamad Obaid Ibrahim Salem Al-Zaab said the UAE has a proven record in conservation and breeding of the endangered bird thanks to the landmark efforts made by the late founding father, Sheikh Zayed bin Sultan Al Nahyan to save the endangered species. He also spoke about the UAE's conservation success story which began 40 years ago when Sheikh Zayed sensed the danger facing the Houbara population. Abu Dhabi’s Houbara breeding programme is dedicated to restoring sustainable wild populations of the iconic Houbara bustard across the species’ range. It is responsible for many ground breaking scientific findings, which are incorporated into the breeding and release programmes thus ensuring it is one of the world’s most advanced and complete conservation solutions. The IFHC was built on the legacy of the late Sheikh Zayed, who established the first Houbara propagation programme at Al Ain Zoo in 1977 with only seven Asian birds. The first Houbara chick was produced in 1982.